Adopted on March 23, 2018. Say’s Firefly became Indiana’s state insect when legislation proclaiming it as such was signed by Governor Eric Holcomb on March 23, 2018. 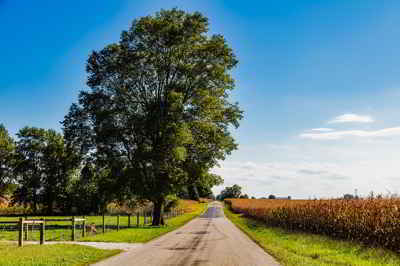 Indiana was one of only three states that did not have a state insect. 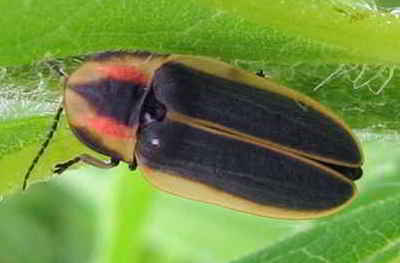 The Say’s Firefly is native to North America, the United States, and Indiana. 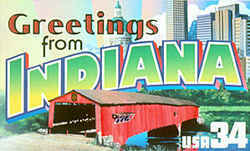 An effort the the Say’s Firefly the state insect began in 1996, when a bill was placed before the Indiana Legislature. It was approved by the House but never came up for vote in the Senate. Maggie Samudio, Teacher Gr. 2 Room 23 Cumberland Elementary West Lafayette, IN for the past 4-years, persevered to make this happen. Governor Holcomb signed the bill on March 23, 2018 in front of 710 K-3 students at the elementary school . He was surrounded by the bill author Sen. Ron Alting, R-Lafayette, and bill sponsors Rep. Sally Siegrist, R-Lafayette, and Rep. Sheila Klinker, D-Lafayette. He signed the bill with Cumberland student Kayla Xu, one of the first "lobbyists" for the bill. Since the 2014-2015 school year, elementary school students have been pushing to pass legislation giving Indiana a state insect. That was when Xu was doing a school project and realized Indiana was one of three states that did not have one. These interesting insects really aren't flies at all, but rather beetles from the family Lampyridae. Lampyridae is of Greek origin and is from the same root which gave us the word lamp. These luminescent beetles are the very envy of physicists around the world, because of their ability to produce "cold light". Light production in these creatures is very complex, and still not completely understood. 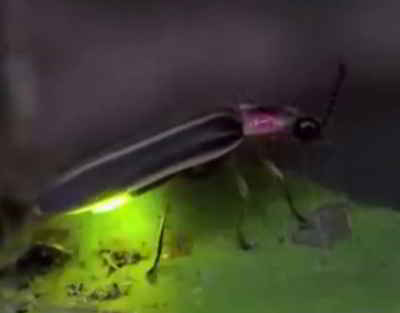 Fireflies play an important role in nature beyond providing pyrotechnics. They loosen soil, allowing oxygen, sunlight and water to penetrate. They maintain balance by eating impressive quantities of food while in the larval form. Although toxic to many potential diners, they are eaten by spiders, frogs and other insects.They also provide beauty and entertainment, even serving as a source for exercise while being pursued by children and fun-loving adults on summer evenings. Also commonly known as lightning bugs, they are neither flies nor true bugs, but are beetles belonging to the family Lampyridae. Very few have common names. Most are known only by their scientific name. Not only is this species of firefly native to Indiana, it also is named after a Hoosier—Thomas Say. Say is considered the Father of North American Entomology and has also been called the Father of American Zoology. 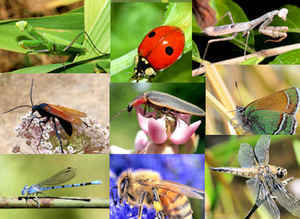 Entomology is the science and study of insects. Zoology is the science and study of animals. Say was living in New Harmony, in Posey County, when he first described the Say’s Firefly, in 1825. Its scientific name is Pyractomena angulata. It is also known as the Angled Candle Firefly. The genus in which Say placed this species was Lampyris, but, as is often the case with species named long ago, angulata has since been placed in a different genus, in this case, Pyractomena. Say's firefly is one of about 175 species of fireflies in the United States. Head: Black, sometimes with dull reddish-orange between eyes. Antenna: Black, thin; 11 segments on both male and female. 1st segment yellowish. Thorax (Pronotum): Wide, shield-shaped, tip squared; ridge or raised line down middle of thorax; from mid-thorax to tip (front end) it slopes downward (more visible from side view). Thorax has black middle patch, narrowing to a point at front tip; on each side of black mostly yellow with rose patch next to the middle black patch. Outside edges have a black stripe than narrows to a point at or very near to lower margin. Underside of thorax rose (orangish-red). Wings (Elytra): Blackish-brown. Outside margins yellow, very wide at base and along side edges, narrowing at tip and narrow yellow along inside of each wing (suture down middle of wings). Wings also have two faint ridges, sometimes slightly lighter colour. At middle of base margin, a small, shiny black triangle (scutellum). Abdomen: Top side has pinkish-brown streak inward on each side, running the length of the abdomen. Segments are white tipped on lower margin outside edge. Female tip usually extends past wing tips. Underside of female more yellowish-black, with a yellow line on lower margin of each segment; last segment before tip yellow – flashes amber. Underside of male black with last 2 segments before tip yellow – flashes amber. Size: 7.5 to 14 mm. Habitat: Wet forests and marshy areas. Food: Adults have been recorded as not feeding, but found feeding on Milkweed, Sumac, Dogwood, Yarrow and even Astilbe (non-native) flowers in Wheatley, Ontario. Life Cycle: Although recorded as nocturnal, frequently observed and mating during the day. Mating from late June to early July. Larvae reported to feed on snails and slugs (gastropods). A BILL FOR AN ACT to amend the Indiana Code concerning general provisions. 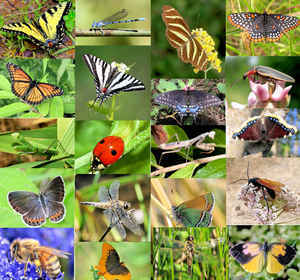 entomology, is designated as the official state insect of Indiana.